Have you sometimes felt that you have too many priorities? No matter where you look, there is something you have to do, by a certain time or date. Whether I am working with a leader in a large corporation or with a small business owner, the issue of too many priorities is a constant. Leaders and teams in organizations of all sizes often feel like too many priorities are causing their lives to spin out of control – both personally and professionally. This sense of lacking control causes stress, energy drain and paralysis. It leads to an inability to concentrate, problem solve or execute on strategies – not to mention a lack of happiness. In fact, several studies have linked happiness to a sense of control over one’s circumstances. The truth of the matter is, there is much in our lives that is outside our control or even our influence. The bottom line is, our sense of control is largely determined by where we focus. When leaders come to me with the issue of too many priorities, we talk about how to regain a sense of control. There is a process they can follow to regain their ability to problem solve, innovate and create new and better solutions. 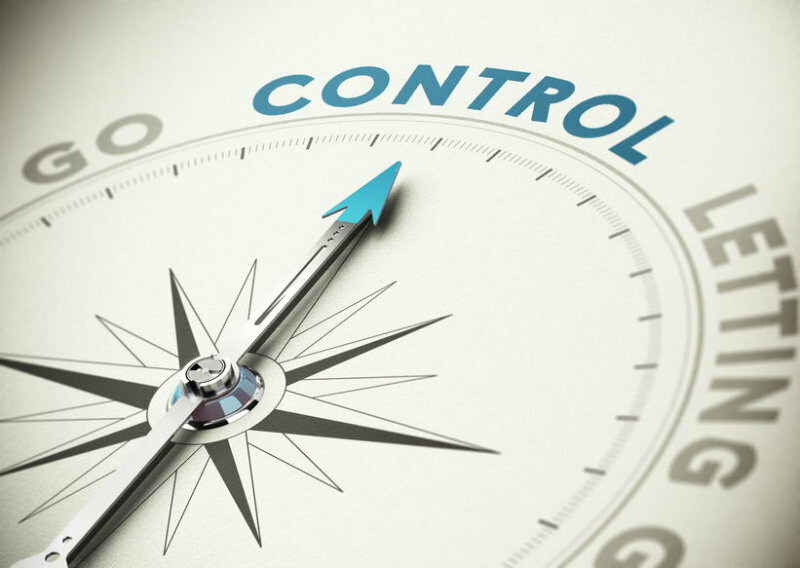 Here are six steps to getting back in control (of the right things – the things you can control). When you feel out of control, label the emotion you are feeling. Emotions reside in the primitive part of our brain that does not have language. Giving the emotion a label engages our executive brain – the part of our brain that can communicate and problem solve. 2. Acknowledge what is crummy about the situation. The trick here is to acknowledge what stinks without getting sucked into the abyss. This means allowing yourself (or your team) only a limited amount of time focusing on the negative. When I work with leaders and their teams, I have them spend about five minutes writing down everything that concerns them or what they don’t like about a situation. Eventually, at the end of the process, I ask them to take the piece of paper, fold it up neatly and tuck it away somewhere. I don’t have people wad up the piece of paper and throw it away because the issues and concerns are real. It is not realistic to completely discard them. However, it is not resourceful to focus our attention here. Taking the time to acknowledge and put on paper the negative aspects of the situation releases our brain to focus elsewhere. It is as if our brain feels like it has been heard. 3. Get very clear on your goal or desired outcome. What specifically is it that you want or that you are trying to accomplish? Being clear on what you want is a critical aspect of regaining your sense of control. 4. Identify what you can influence or control. Review the list of negatives and on a separate piece of paper, write down those things that are under your control or within your influence. (Author Stephen Covey referred to this as your Circle of Influence). This is where it is most beneficial to focus our attention. Whether the present is an hour, a day, a week or a month will vary by situation. The goal is to stay grounded in the here and now. Projecting potential negative outcomes too far into the future is not resourceful. 6. Start now by identifying specific actions. What are the specific actions you can take right now to move towards your goal or desired outcome? There will always be challenges, some more so on certain days or phases of our lives. And it will always feel like we have more priorities than we can possibly accomplish. If you feel like you are spinning out of control, keep these steps in mind to focus on those things you can control or influence. Meanwhile, place those issues, concerns or problems that are outside your Circle of Influence out of view. You’ll feel “yourself” again: happier and ready to take on the next challenge, after realigning your focus. What’s more, you will exude your new sense of clarity and calm and even positively influence others on your team. Talk about a win-win! Are you ready to help your team regain a sense of control over the myriad of priorities you are facing? Get in touch here to see how we can help. Are you overwhelmed by too many priorities? Read here for six tips to focus on what you can control, and get back to helping your team on their priorities.